What is stacked car insurance coverage, and how is it different from unstacked car insurance coverage? Hopefully, you will never have to worry about stacked or unstacked auto insurance coverage. In order for it to matter, quite a few things need to happen. Stacked insurance becomes an option if you own and insure multiple vehicles. Stacked insurance only becomes a good idea if you are in an accident where you are not at fault if the other driver who caused the accident does not have insurance, and if the damage to you or your vehicle exceeds the uninsured motorist coverage you have purchased on one of your vehicles. If you have purchased uninsured or underinsured motorist coverage on multiple vehicles, you will be covered up to a certain limit on each vehicle. But what if you are in an accident that causes $150,000 worth of damage and your coverage limit was $100,000? If you only own one vehicle that has uninsured motorist coverage, you are on the hook for this damage. If you own two vehicles with unstacked motorist coverage, you are also out of luck. But if you have stacked your auto insurance coverage, you can “borrow” from the other vehicle’s coverage, and you won’t have to pay a penny out of pocket. About 15% of drivers do not have car insurance, and uninsured motorist coverage protects you from suffering because of these lawbreakers. If a driver without insurance causes an accident, uninsured motorist coverage pays what the other party’s insurance should have paid, if the other party’s insurance existed. 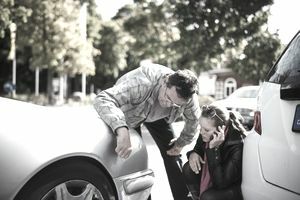 This sort of policy covers bodily injury and, depending on the policy, can also cover the damaged property. Underinsured motorist coverage protects you against the cheap and/or reckless drivers on the road. If someone causes an accident that creates more damage than their insurance policy covers, underinsured motorist coverage will protect you for the difference. Like any insurance coverage, there are set limits to how much damage the policy will cover. That’s where stacked coverage comes in: If you insure multiple vehicles, you can “stack” the coverage limits so that they are much higher for anyone given accident than they would be if you only insured one vehicle. You will more likely be covered. If you are in an expensive accident, stacked coverage means that even if the other driver is uninsured, you will still be covered for double the amount of one policy alone. More expensive. Just like any insurance policy, the more coverage you have, the more expensive the policy will be. Stacking your uninsured motorist coverage is more expensive than purchasing separate and unstacked coverage since you are doubling your coverage limit. Not allowed in every state. Some states limit the number of policies you can stack or your ability to do so at all. Both policies need to be in your name. This can get tricky if other people in your family are the ones driving the vehicle, so make sure to talk to a qualified insurance agent. Less expensive. If you have a lot of coverage per policy, you may not need to purchase stacked insurance, anyway. Either way, your premiums will be lower than they would be under a stacked policy. Fewer requirements. If you have unstacked coverage, you do not need to worry about all the steps you need to take to be eligible for stacked coverage. More chance of being on the hook for expensive damages. If you are in an accident that exceeds the limits set forth in your policy, you will have to pay out of pocket for any extra damages. Hopefully, you will never be in a position where you will need to use your stacked coverage. But insurance is bought with the worst-case scenario in mind, not the best. If you insure multiple vehicles, talk to your insurance agent and see if paying for a stacked policy makes sense for you.